Laid down, 12 September 1943, at New Jersey Shipbuilding Corp., Barber, N.J. While the ship was damaged during the Typhoon, no crew members were lost. 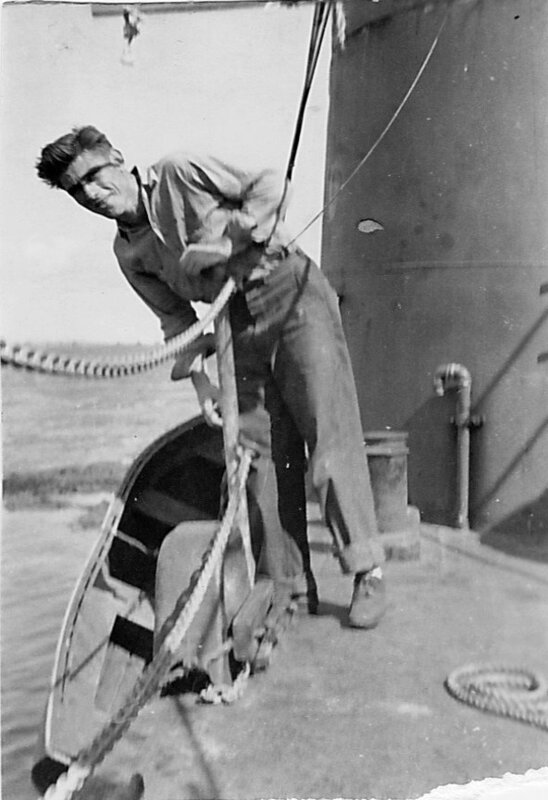 However, crew member, Don Bonar, recalls "that when the storm was over they would send someone to get the mail periodically. One time they went to get the mail and a storm came up quickly and the sailor who left never returned. It was believed that he drowned. He also met a man recently who was in the same area at the same time as he was. The other man said that after the storm his job was to help clear the harbor of debris and a mass of floating bodies from the storm." 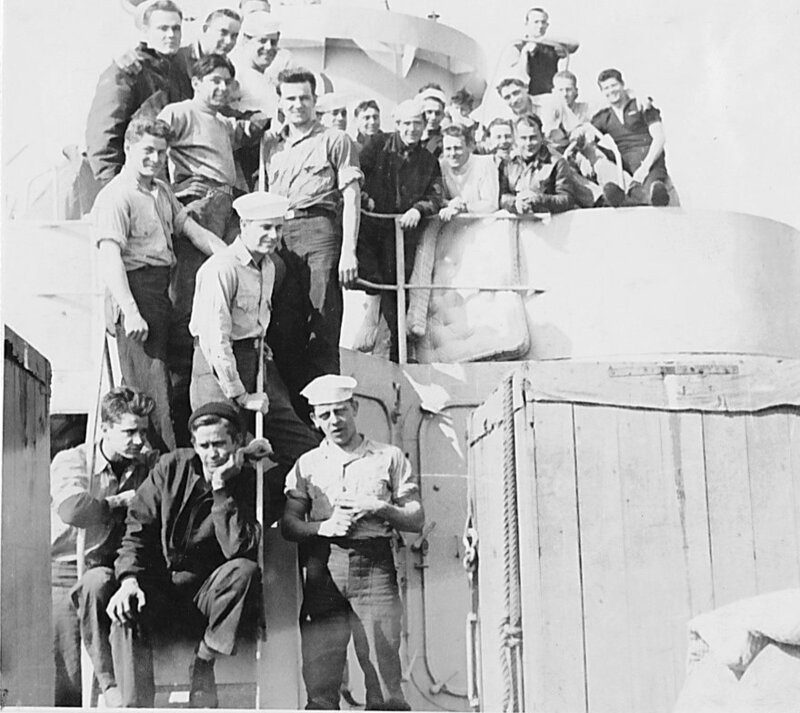 131k USS LC(FF)-486 crew photo, date and location unknown. 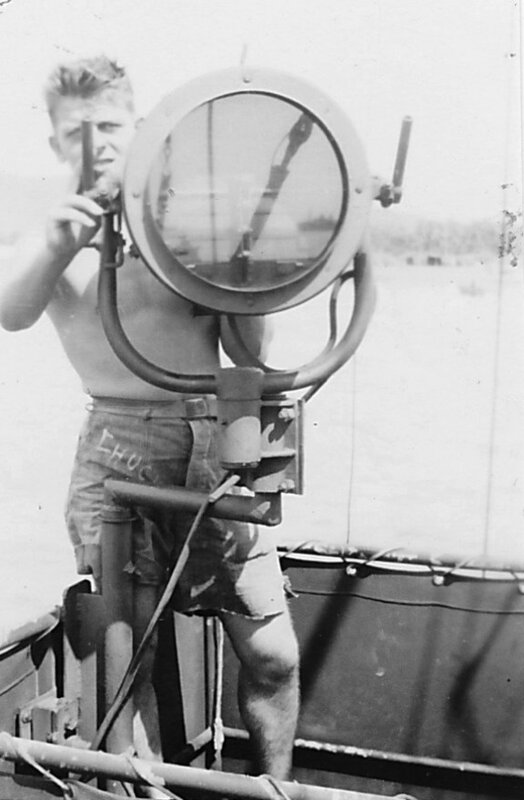 Rick Bonar for his father Don Bonar EM2/c USS LC(FF)-486. 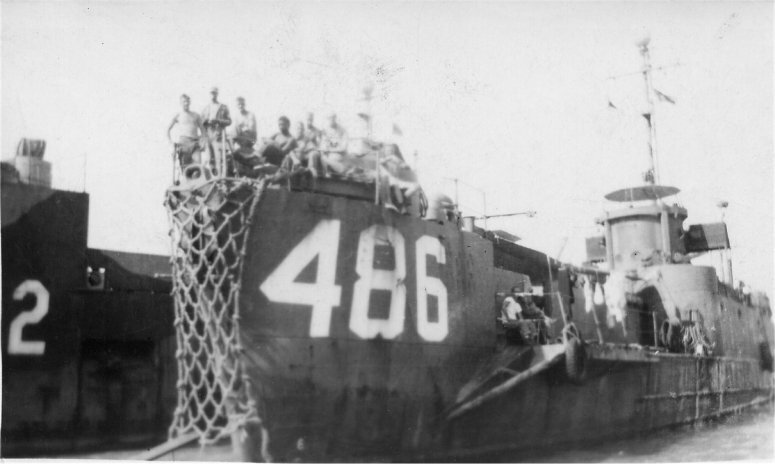 92k USS LC(FF)-486 Black Gang, February 1946. 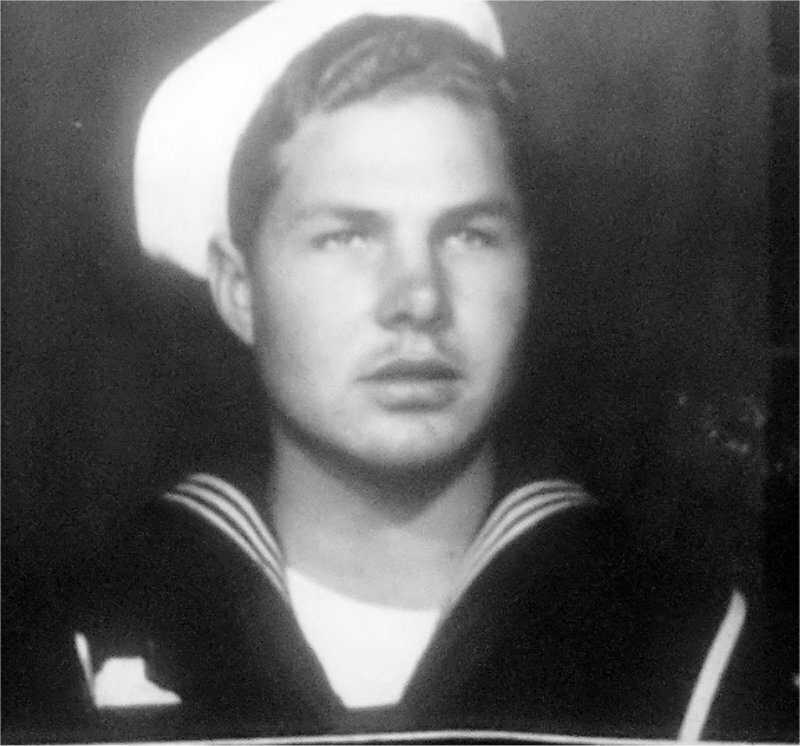 Rick Bonar for his father Don Bonar EM2/c USS LC(FF)-486. 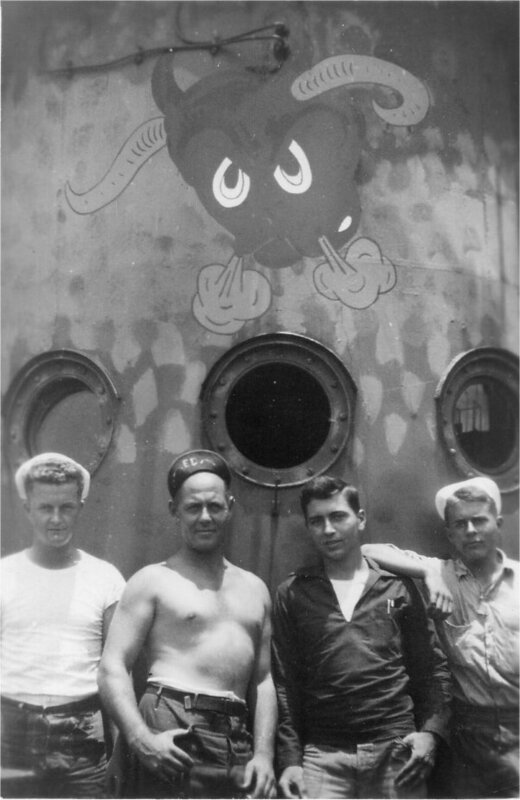 141k Three USS LC(FF)-486 crew members in front of the ship's conning tower, date and location unknown. 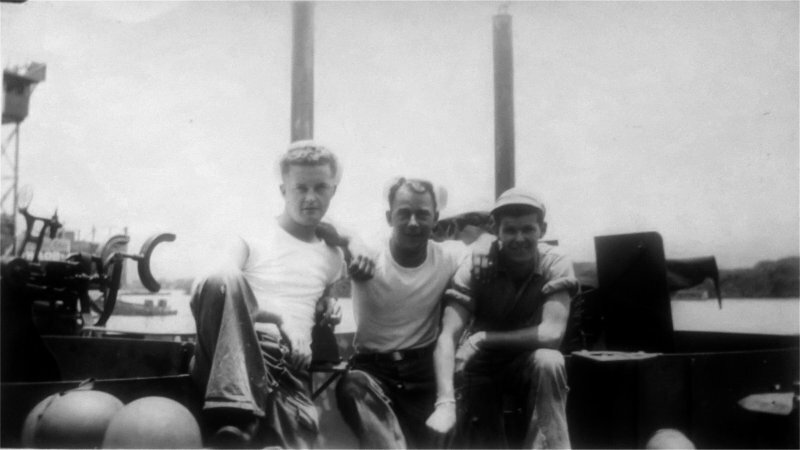 From Left to right Don Bonar EM2/c, Walt Reeser MMoM1/c, Jack Gstalder QM2/c. Rick Bonar for his father Don Bonar EM2/c USS LC(FF)-486. 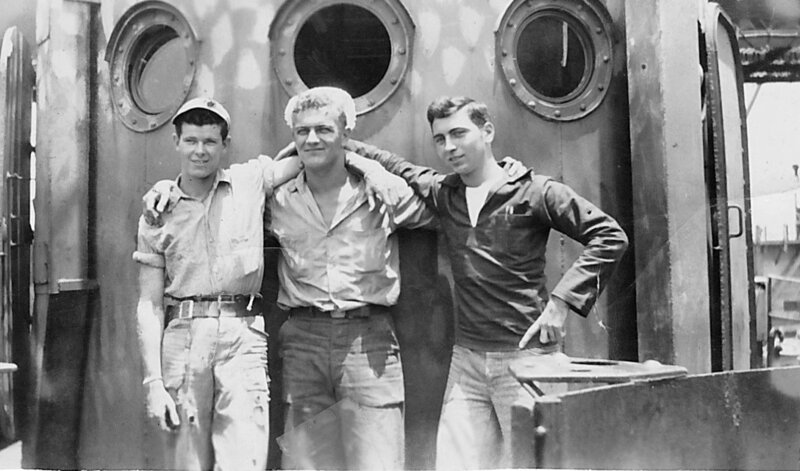 43k Three USS LC(FF)-486 crew members, date and location unknown. 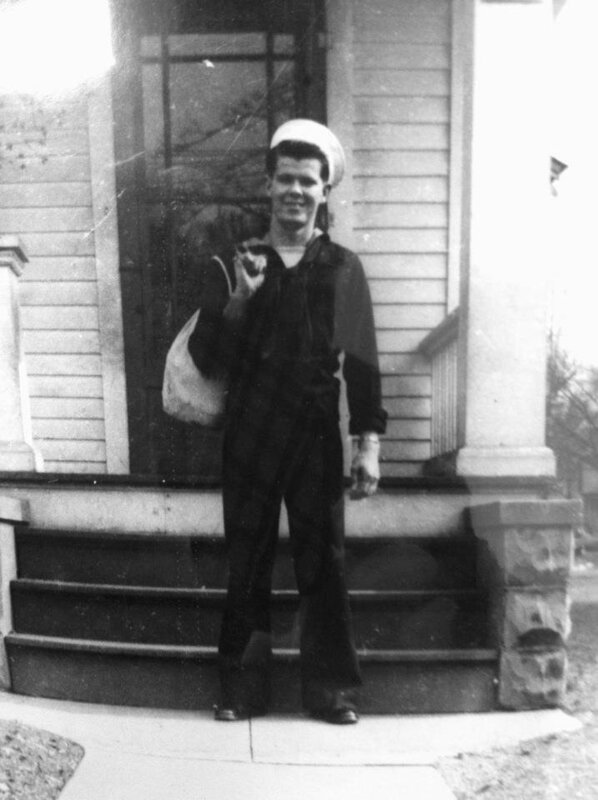 Don Perry for his father Lloyd Cole Perry USS LC(FF)-486. 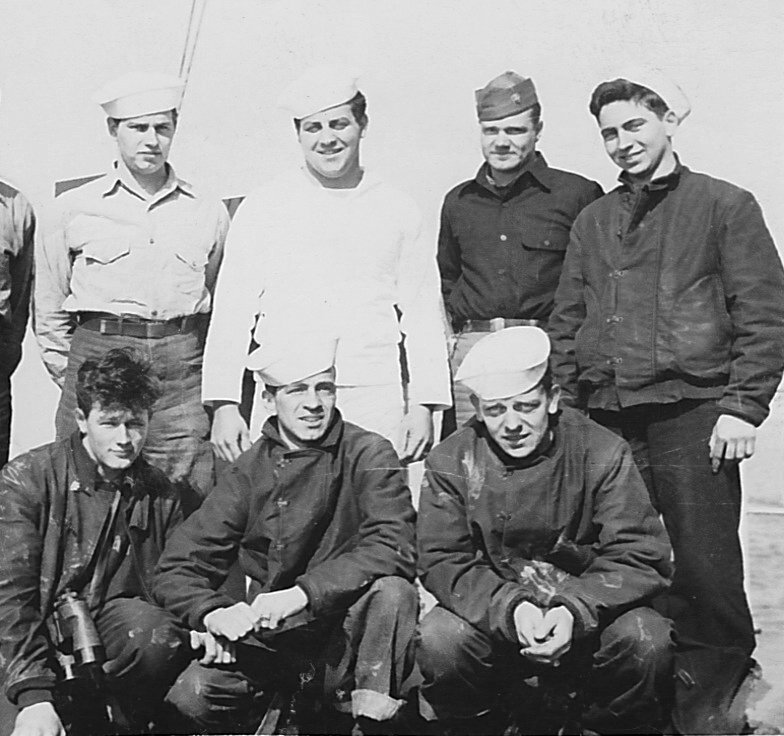 85k Eight USS LC(FF)-486 crew members, date and location unknown. Front row from left to right; Decker, Don Bonar EM/2c, Robert Bosco S2/c. 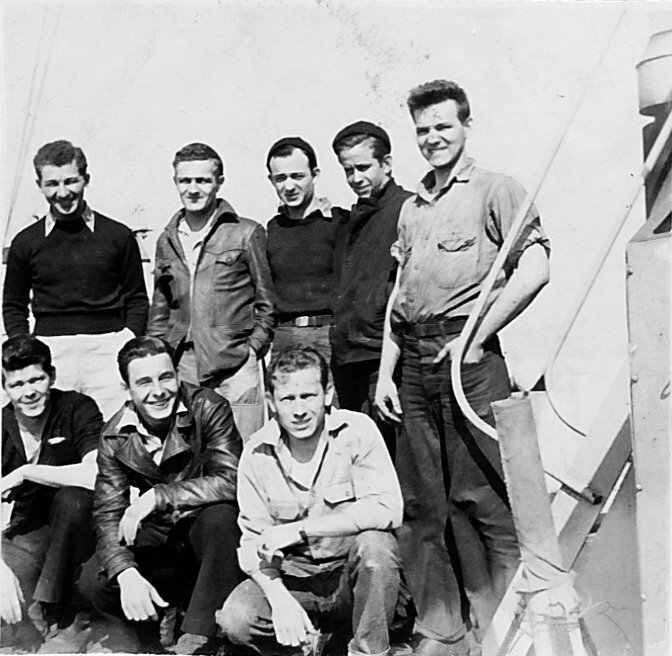 Back row let to right; J. J. Pollack CPO, Gilbert, Jack Gstalter QM/2c, Reeser MM/2c, and unknown. Rick Bonar for his father Don Bonar EM2/c USS LC(FF)-486. 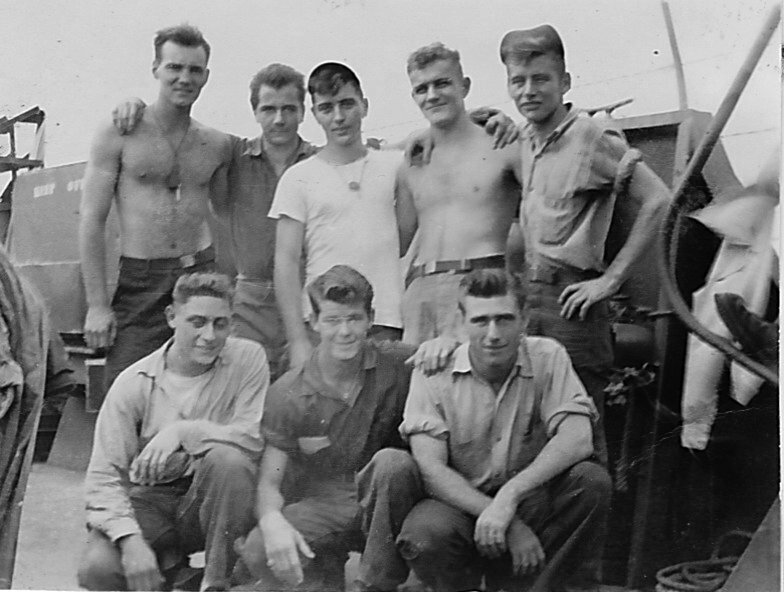 108k Seven USS LC(FF)-486 crew members, date and location unknown. Front row from left to right; Tate, Russo PHM, Charles Populo SM2/c. Back row left to right; Case, Jack Gstalder QM/2c, unknown, unknown. Rick Bonar for his father Don Bonar EM2/c USS LC(FF)-486. 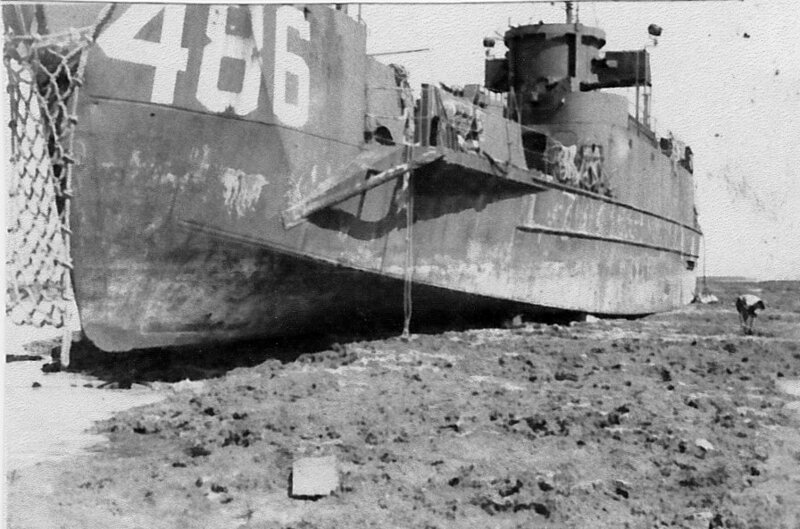 107k USS LC(FF)-486 LTjg. 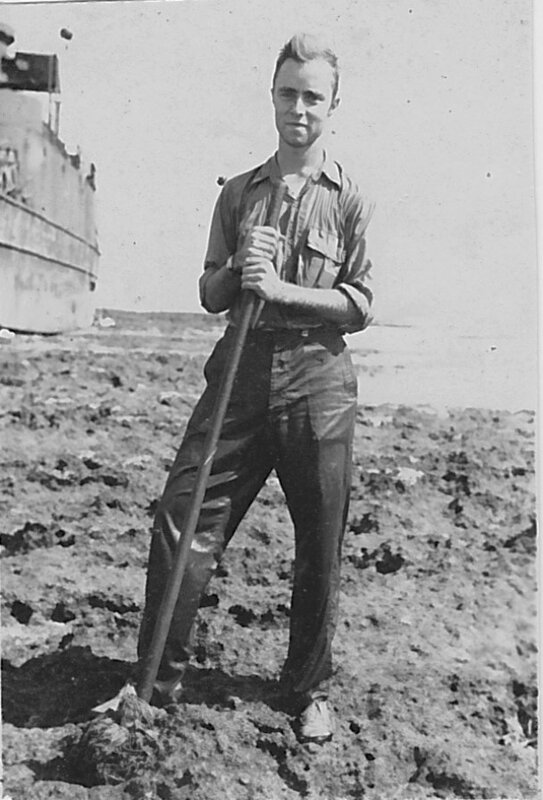 Allen M. Johnson at Buckner Bay, Okinawa, circa October-November 1945 Rick Bonar for his father Don Bonar EM2/c USS LC(FF)-486. 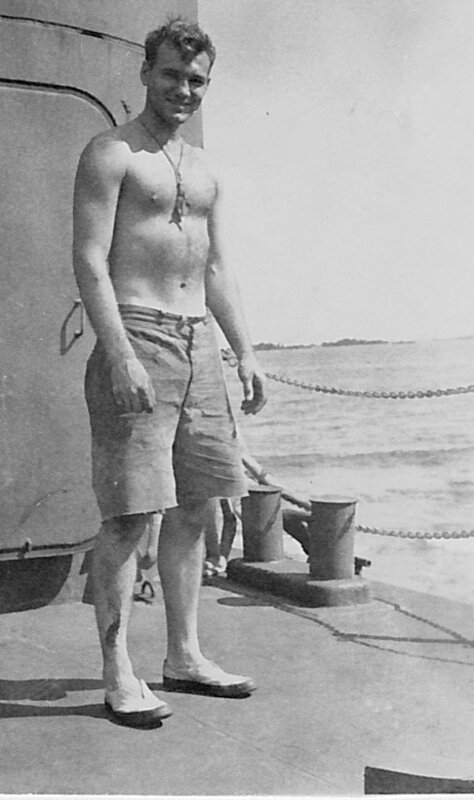 76k USS LC(FF)-486 Chief Petty Officer J. J. Polack at Buckner Bay, Okinawa, circa October-November 1945 Rick Bonar for his father Don Bonar EM2/c USS LC(FF)-486. 86k USS LC(FF)-486 Seaman Second Class Robert Bosco at Buckner Bay, Okinawa, circa October-November 1945 Rick Bonar for his father Don Bonar EM2/c USS LC(FF)-486. 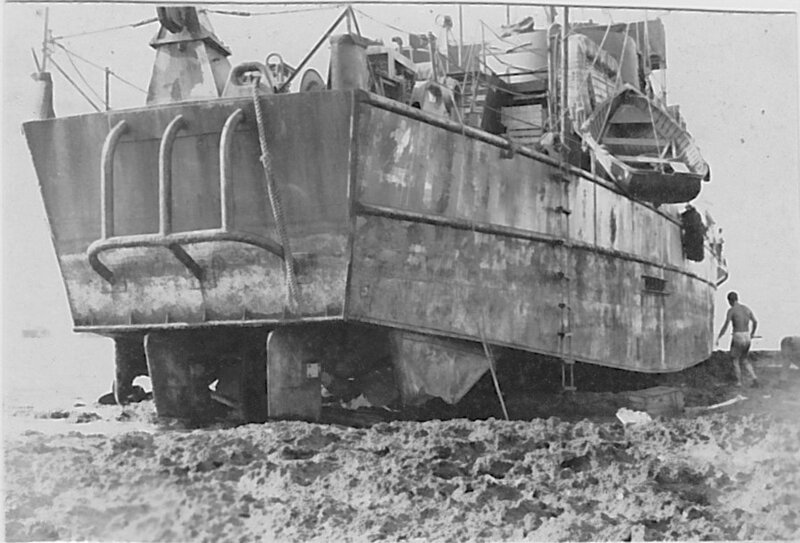 72k USS LC(FF)-486 Charles Populo SM2/c at Buckner Bay, Okinawa, circa October-November 1945 Rick Bonar for his father Don Bonar EM2/c USS LC(FF)-486.